Complete implementation of recommended tobacco control policies in China could lead to a reduction of over 40 percent in smoking and prevent almost 13 million tobacco related-deaths by 2050, according to a BMJ study. These tobacco control policies, mandated by the World Health Organization (WHO) Framework Convention on Tobacco Control (FCTC), include: surveillance and monitoring of the prevalence of tobacco use, creation of smoke-free environments, treatment of tobacco dependence, taxation on tobacco consumption and other price controls, and enforcement of health warnings on tobacco packages and marketing bans. The study projected that increasing the tobacco excise tax to 75 percent of the retail price would be the most effective measure, incrementally reducing smoking by 13 percent by 2050. Comprehensive smoke-free air laws and a well enforced marketing ban also showed potent and immediate effects. Comprehensive smoke-free air laws were projected to yield an almost nine percent reduction in smoking rates by 2015, increasing to about a 10 percent reduction in 2050. A comprehensive marketing ban would reduce smoking rate by about four percent by 2050. 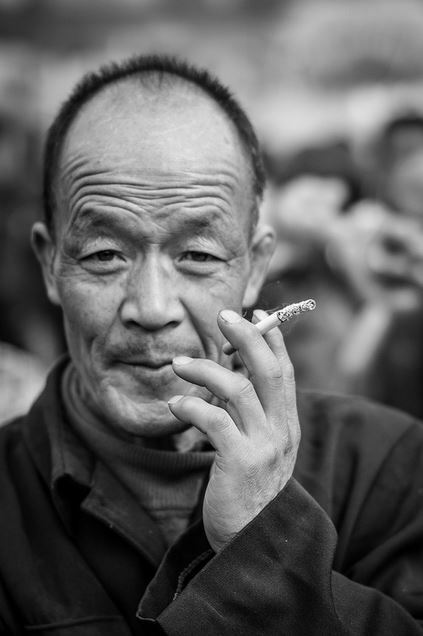 China is the most populous nation in the world, and with over 50 percent of Chinese men smoking, accounts for about a third of the world’s smokers.